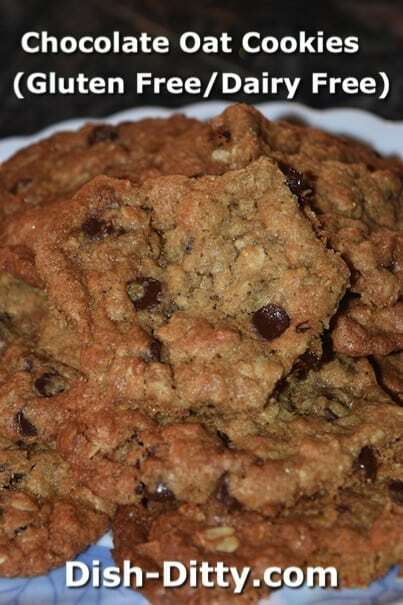 Looking for a great gluten free cookie? This one is delicious and you would never know they are gluten free. 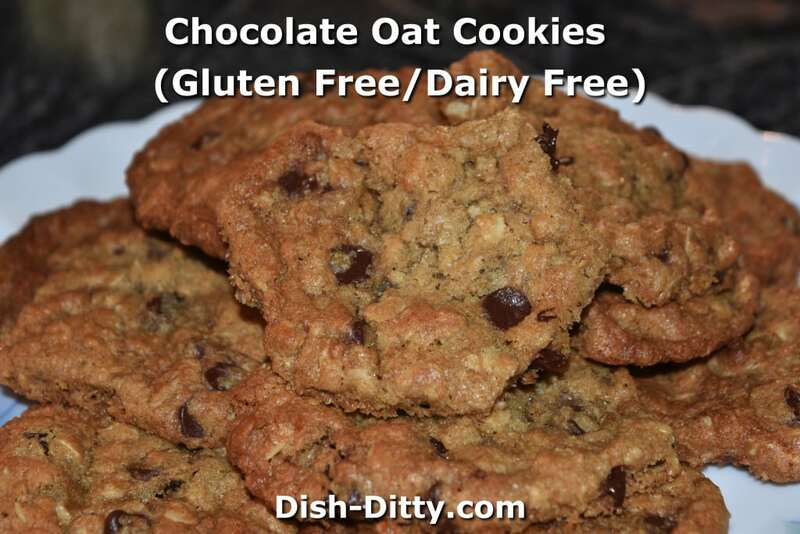 But not only are these Chocolate Oat Cookies gluten free, but also dairy free. 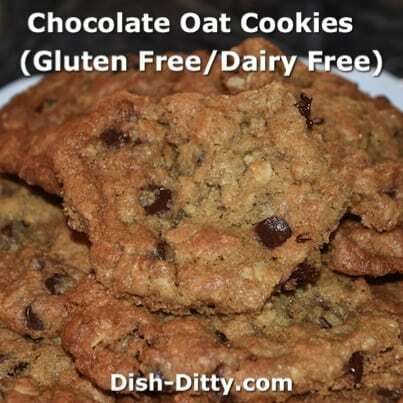 Don’t make these cookies because they are gluten free… don’t make them because they are dairy free. You’ll want to make them because they are simply delicious! Yum! These cookies do spread a lot. I think adding one ripe banana will help the cookies keep their form, but I'm not sure how that would taste. If I make this again, I'll try it and let you know. Mix together in a medium bowl the dry ingredients: ground flax seed, coconut flour, oat flour, baking powder, baking soda and salt. In a mixer, beat coconut oil with granulated sugar and brown sugar until creamy. Add the vanilla and beat for a couple seconds. Add the eggs and beat for a minute or so, until well combined and light and fluffy. Slowly add the flour mixture and beat until combined. Stir in the oats, dried cherries and chocolate chips. Drop onto parchment paper lined baking sheet and bake for 12-15 minutes at 350 degrees. 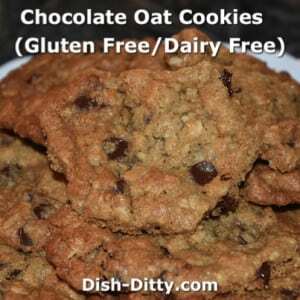 No Replies to "Chocolate Oat Cookies - Gluten Free & Dairy Free Recipe"